Take advantage of those seasonal foods from Ayrshire. Try making Raspberry Cranachan, a glorious whisky laced creamy dessert! Or learn how to make a Haggis, Neeps and Tatties Stack with Whisky Cream Sauce and impress your friends on Robert Burns night! Simple Scottish cooking can be great too– you may just want to know how to make your mammy’s favourites like good old ‘mince n’ tattles’ or a ‘gid pot of soup’! Get exotic – Thai is a delicate balance of sweet salty, spicy and bitter using delicious ingredients such as fresh ginger, lemongrass, coconut milk and zingy limes. 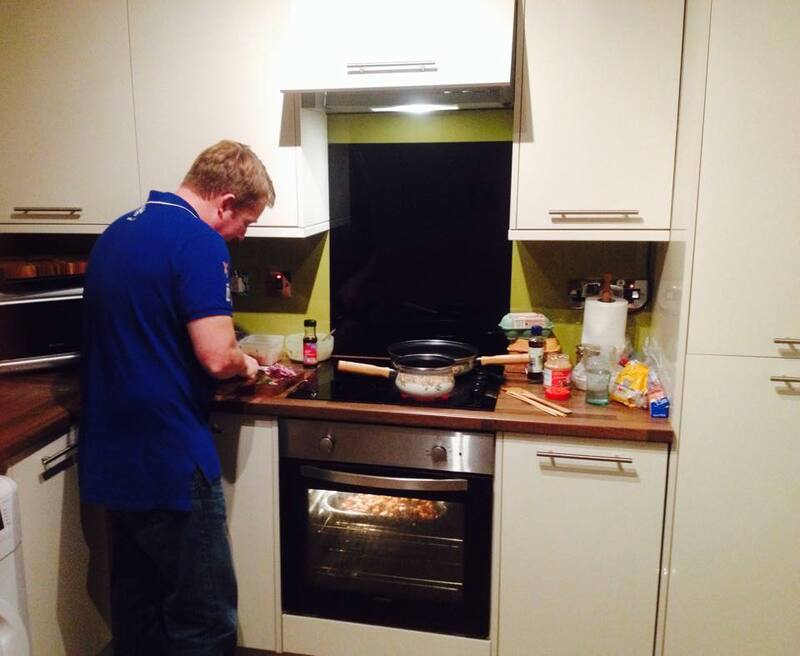 Here is a Home Cook School client preparing a healthy Thai salad and Chicken Satay with Vegetable Noodles! Yum! Learn to cook Greek – a lovely Mediterranean fusion of citrus fruits, feta, lamb, seafood and many more delicious ingredients. Learn how to make classics like Chicken Souvlaki (yummy skewers of marinated grilled or barbecued chicken), griddled lamb kebabs with herby salad and yoghurt dressing, falafel (great for vegetarians) and glorious sides of tzaziki dip, strawberry and halloumi salad – trust me it’s amazing! Enjoy cooking a spicy chickpea curry – great for vegetarians! You may prefer to try a chicken or lamb curry from scratch and fill your house with amazing aromas of roasted spices! Try making your own flatbreads and cardamom spiced rice. Master the art of risotto – trust me, it’s not that hard and a great basis for many variations including roasted butternut squash with goat’s cheese and hazelnuts, mushroom, or even go for a Scottish/Italian hybrid with Smoked Haddock and pea – yum! Learn the basics of a good pasta – carbonara and bolognaise are always hot favourites. If you fancy booking a longer tutorial, you may like to try making beautiful slow cooked lamb with rosemary, olives and garlic – perfect for an impressive Sunday Roast. Make sides of pepperonata (pepper stew) and garlicky, rosemary roast potatoes. Discover the art of Paella – it creates wow factor and is a fabulous and adaptable dish for dinner parties as it containssomething for everyone. 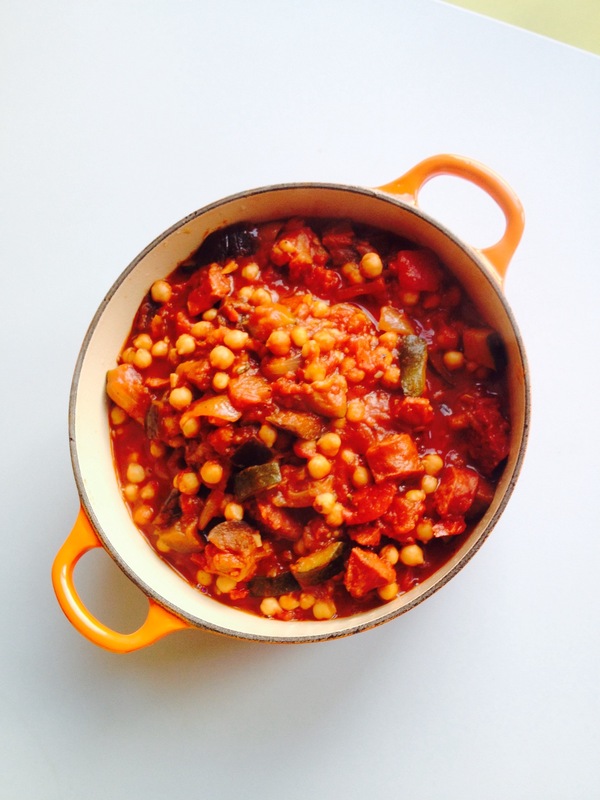 Try making a store cupboard favourite – ‘chorizo and chickpea stew’ – great on its own, as a side or serve with chicken. 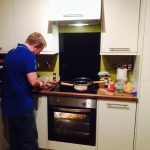 Learn how to cook more healthily including ways of making veg tasty and how to eat foods low fat without losing flavour. Get tips and advice on which food will keep you fuller for longer. Fancy making spicy butternut squash chips or delicious vegetable curry? Healthy food can be delicious! Discover tips and advice on cooking when you are watching your pennies. Consider the benefit of batch cooking and the perfect store cupboard meals for when you just don’t have time to make it to the supermarket. 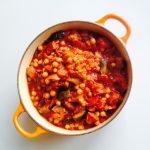 Try making roast chorizo vegetables – perfect to mix with pasta or serve with cous cous and enough to feed you for days whilst being flexible enough not to be boring. Off to uni and don’t know how to cook? Learn the basics – fast! Chilli, bolognaise, soups and many other wholesome and tasty meals to choose from.